The iconic image of a Thanksgiving meal is a perfectly basted bird being pulled out of the oven, but there are many ways to prepare a tasty turkey. I had some interesting Thanksgivings with my family when my Dad tried smoking our turkey with a beer can shoved into the space formerly occupied by giblets. One year, my Uncle Jimmy fried a turkey for our dinner. I remember thinking that it was remarkable that my Uncle Jimmy hadn’t burned the house down, but also, that the resulting bird was pretty darn tasty. I don’t have that recipe, but I’ve provided one below from the brilliant mind of Alton Brown. 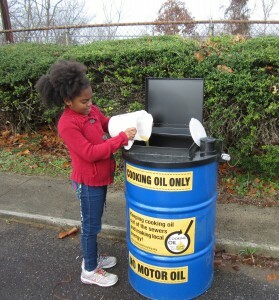 When you recycle cooking oil, you keep mucky grease out of sewers and landfills and turn it into clean energy instead! After you’ve recovered from the food coma induced by enjoying your fried turkey, fried okra, and fried green tomatoes, giving your oil ample time to cool, you’ll need a place to responsibly dispose of your used cooking oil. Blue Ridge Biofuels has bins conveniently placed around Western North Carolina to help! Go to our Cooking Oil Recycling page to find the location nearest you. When you recycle your used cooking oil, you're not only keeping grease out of the sewers and the landfill, you're turning it into biodiesel — clean, renewable fuel made here in North Carolina. *Cook's Note: In order to determine the correct amount of oil, place the turkey into the pot that you will be frying it in, add water just until it barely covers the top of the turkey and is at least 4 to 5 inches below the top of the pot. This will be the amount of oil you use for frying the turkey. Place the hot water, kosher salt and brown sugar into a 5-gallon upright drink cooler and stir until the salt and sugar dissolve completely. Add the ice and stir until the mixture is cool. Gently lower the turkey into the container. 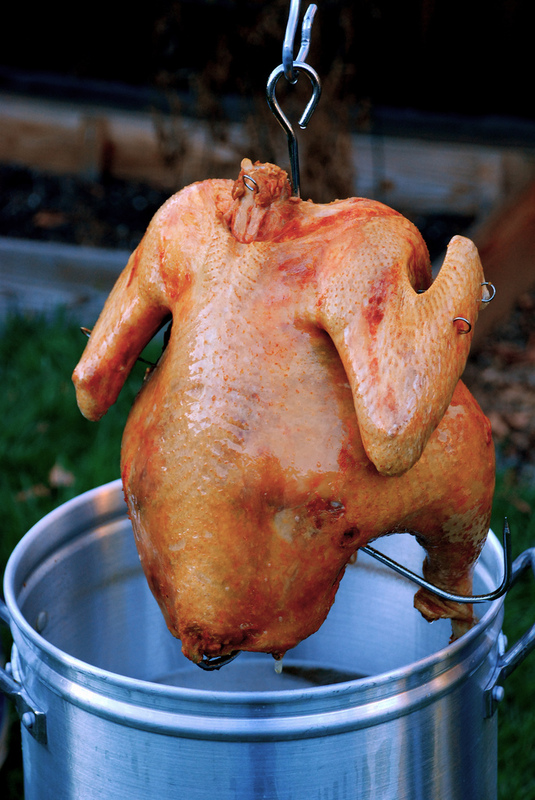 If necessary, weigh down the bird to ensure that it is fully immersed in the brine. Cover and set in a cool dry place for 8 to 16 hours. Yum. Photo by Gunther Hagleitner. 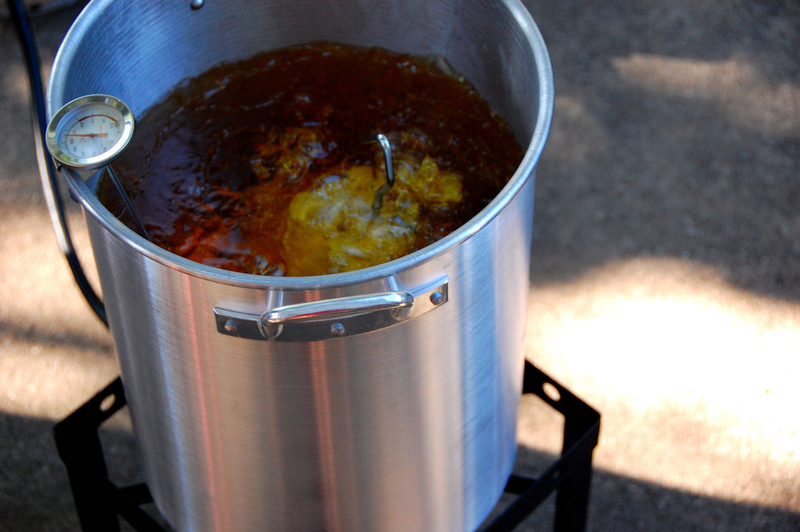 0 Comments on "How to Fry a Turkey… and Turn Your Leftover Oil into Biodiesel"